Park City Think Tank helps leaders stand out for the positive. 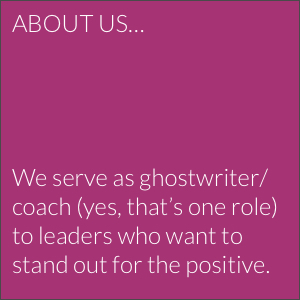 We are ghostwriters who help you connect with the people who matter to you. To learn more, please contact us.